Throughout July and August, Japanese heavy rockers, Boris make their semi-annual return to the west with a string of Us tour dates. Seattle's night in the tour with Earth, though likely to not compare with 2013's performance wherein they played the totality of their magisterial opus "Flood", alongside a second night of "All-Time Classics" will still promise an evening of the from the-heart-of-the-sun intensity Boris are known to deliver live. The past decade of semiannual tours have seen them manifest their ever mutating mix of Doom Metal, Heavy Psych, warped J-Pop, willfully dysfunctional Indie Rock and more recently, their own thrilling take on Dream Pop and Shoegaze. The latter we first glimpsed on their "Japanese Heavy Rock Hits" 7" series and more recently refined on the near-perfect "Attention Please" and the more guttural Psyche assault of "Heavy Rocks". This prolific inundation culminating in the tri-album recording release of late 2011, topped by their upbeat pop-assault of the generically titled, "New Album". Following this deluge was the more atmospheric Metal-oriented tour album "Präparat" and the mainstream riffs of 2014's "Noise", with it's pronounced college-rock sensibilities. The band themselves perceive this stylistic shift as just another stage in their assimilation of influences towards an all-inclusive Boris sound, in interview for The Quietus the feedback-worshiping trio state, "Noise is Japanese Blues': An Interview with Boris". This summer's tour is a return to the territory they carved out with 2005's "Pink" and the heights they were propelled to by the lyrical guitar squall of collaborator Michio Kurihara on the companion album "Rainbow". Typical of the abundant recording sessions which have produced each album, the new edition of "Pink" will feature a previously unreleased companion album of "Forbidden Songs". Comprising overflow from this era that ended up on the cutting room floor, their interview for Invisible Oranges delves into this phase of high production and new inspirations. The March issue of The Wire recaps the trio's 25 year recording and touring process, which brings them back into contact with noise extremist Merzbow on the 150 minutes of new music appearing on the interchangeable double LP set, "Gensho". 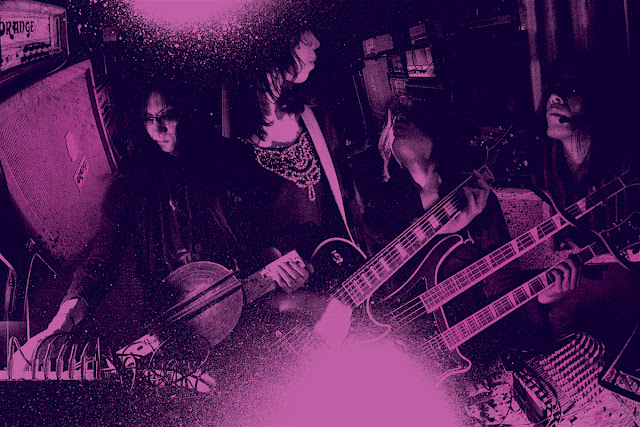 Japanese noise legend Masami Akita himself entering into a succession of recent collaborations, which The Quietus explore in their "Razor Blades in the Dark: An Interview with Merzbow".